Optionally, you may choose to integrate drivers to an installable clone of Windows, which makes sense if you are going to reinstall Windows to a new PC with dissimilar hardware (such as USB 3.0 controller or NVMe bootable storage device). 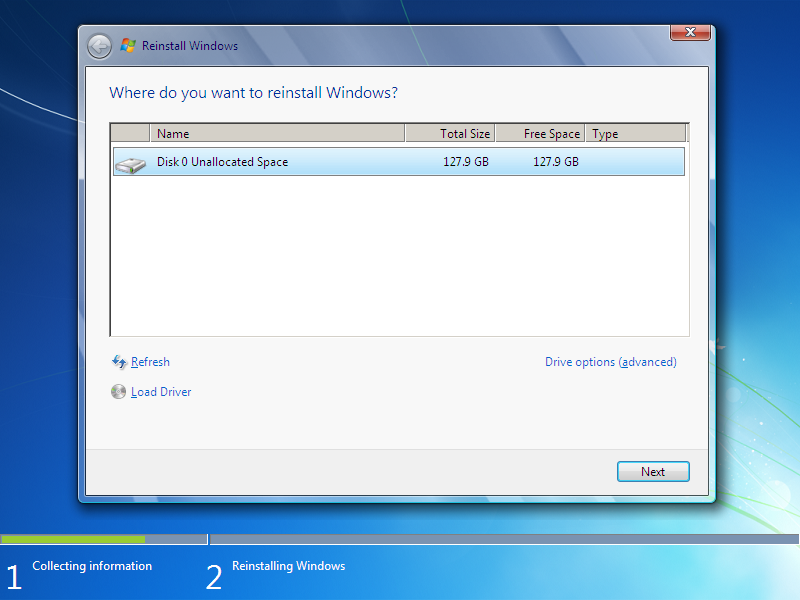 Alternatively, drivers for target storage device (such as RAID controller or NVMe SSD) can be added later, during Windows reinstallation. Existing files will be compressed, so for this operation usually you need smaller capacity USB storage device than your disk C:. 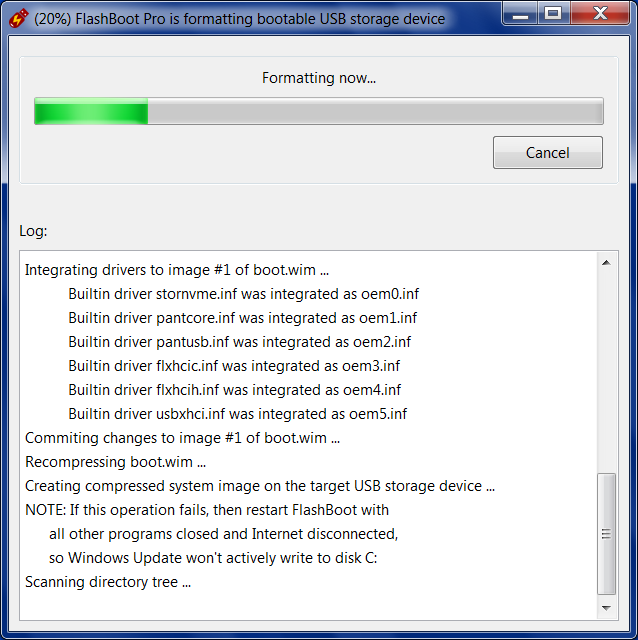 Typical compression ratio is 50-60%. 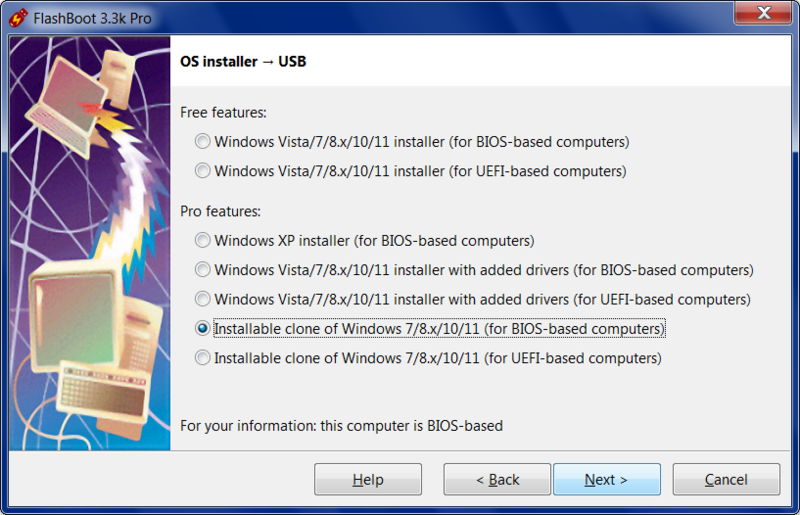 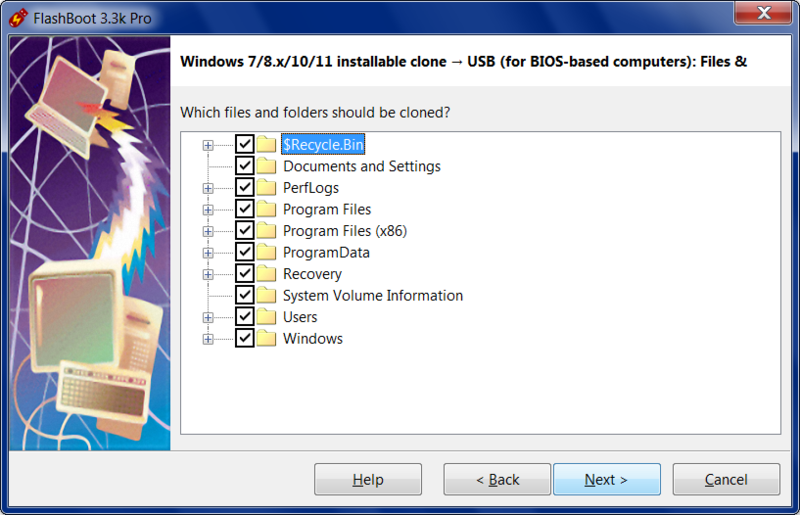 This example demonstrates creation of installable clone of Windows 7 in BIOS mode. 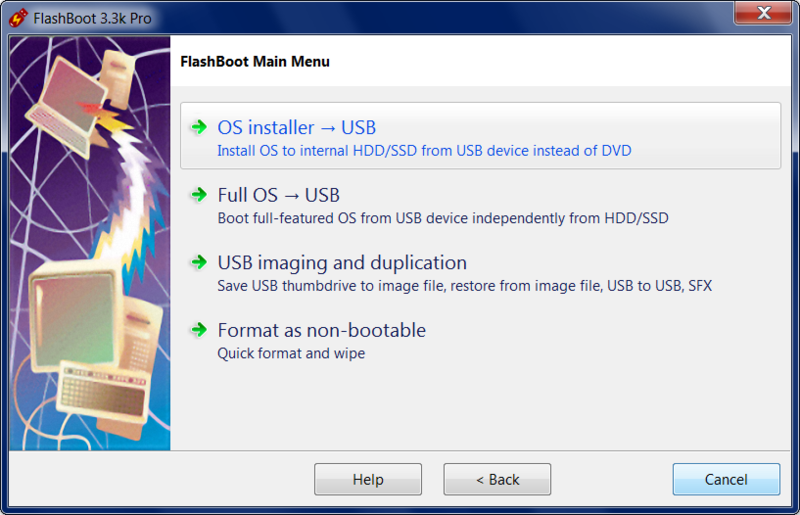 FlashBoot also supports installable clones of Windows 10 and Windows 8/8.1, as well as creation of installable clones in UEFI mode. 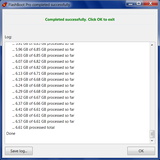 System Reserved Partition is not included to the backup image, it will be recreated automatically during the reinstallation (or just updated in dual-boot configurations). 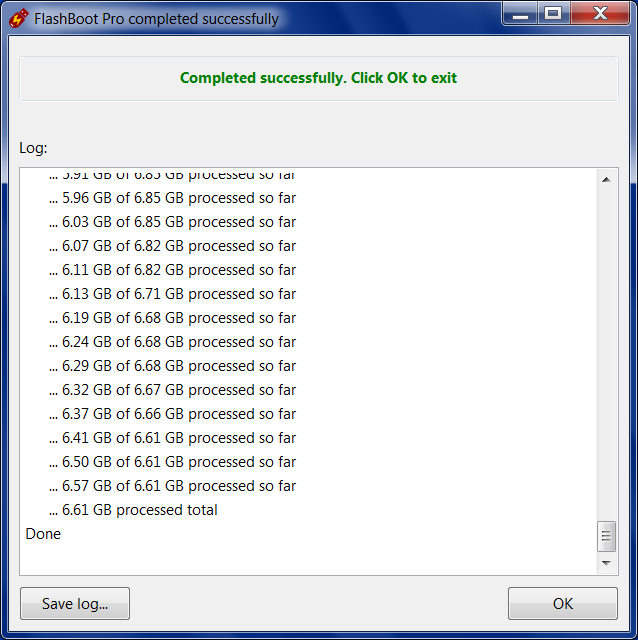 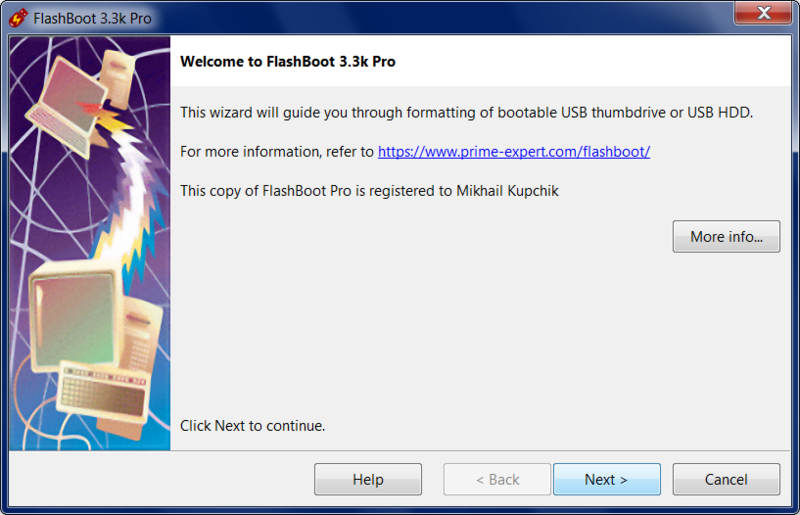 Installable clones are available only in FlashBoot Pro.